Many thought Brexit would not win and Donald Trump could not be elected. An entire media apparatus that was increasingly certain came to produce confusion instead. We are now said to be in a “post truth” time, one where debate over truth has been replaced by a chaos of facts. The more information grows, the more knowledge seems to retreat, and the thought vacuum is increasingly filled with hate speech, hoaxes, and so-called fake news. Moreover, emotions seem to count more than facts. But to neatly separate “personal belief” from “objective fact” is hard if impossible work. As difficult as reality is to grasp, its consequences are hard to miss: suffering and death all over the world have a concreteness that escapes any rhetorical strategies, a reminder of the limits of the defeatism of simply claiming everything is fake or a simulation. The question of democracy in the technocratic era is also at stake. The rise of right-wing populism and related post-political consensus poses great challenges, as well as the polarization of the public debate that pushes people to the fringes, given that provoking is an effective way to maximize engagement. The aim of this issue is to introduce a critical perspective amidst this wave of anti-inclusionary and counter-informative forces, without falling in the equally undesirable opposites of cynical functionalism (truth is merely what works) or a new, patronizing positivism: truth as a matter of numbers, a sovereignty of data that ends up killing reality, by neutralizing its uncountable aspects. The responsibility of subjects, rather than the “objectivity” of facts, is today at stake: but what can Foucault’s “parrhesia” mean in the digital age certainly needs further reflection, as truth is at the same time impossible to achieve and to be totally said, and necessary to pursue: therefore to be “sign of what is lacking”, in De Certau’s words, is a paramount effort in the digital age of globalized accessibility. Tutti pensavano che la Brexit non sarebbe passata e Trump non sarebbe mai stato eletto. L’intero apparato dei media, che voleva garantire certezze, ha prodotto invece confusione. Si dice che siamo nell’era della ‘post-verità’, dove il dibattito sulla verità è stato rimpiazzato da un caos di fatti. Più cresce l’informazione, più sembra diminuire la conoscenza, e il vuoto di pensiero sempre più si riempie di hate speech, bufale, fake news. Inoltre, le emozioni sembrano contare più dei fatti. Ma separare le opinioni personali dai fatti obiettivi è compito difficile se non impossibile. Benché la realtà sia difficile da afferrare, ci sono evidenze difficili da contestare: sofferenza e morte in tante parti del mondo hanno una concretezza che sfugge a ogni strategia retorica ed espone il limite di chi sostiene che tutto è finzione e simulazione. Anche la questione della democrazia nell’era tecnocratica è oggi in gioco. 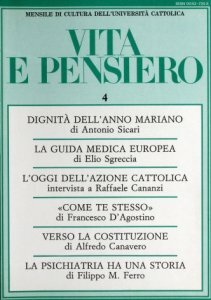 La crescita dei populismi e del cosiddetto consenso post-politico pone grandi sfide, così come la polarizzazione del dibattito che spinge le persone agli estremi, dato che provocare è un modo di massimizzare il coinvolgimento. Scopo di questo numero di Comunicazioni Sociali è introdurre una prospettiva critica in questa ondata di forze controinformative, senza cadere negli opposti e ugualmente indesiderabili estremi del funzionalismo cinico (è vero ciò che funziona) o di un paternalistico neopositivismo: la verità come questione di numeri – sovranità dei dati che uccide la realtà, escludendo tutti gli aspetti non quantificabili. 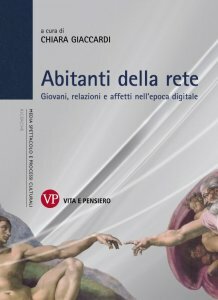 La responsabilità dei soggetti, piuttosto che l’obiettività dei fatti, è oggi centrale: ma che cosa sia la ‘parresia’ di Foucault nell’era digitale richiede uno sforzo di riflessione: perché la verità è insieme impossibile da afferrare e dire nella sua totalità e necessaria da ricercare. 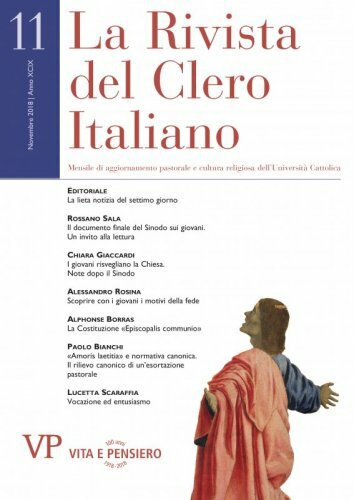 Perciò, con le parole di De Certeau, ‘essere segno di ciò che manca’ e voce di chi non ha voce è una priorità nell’era digitale dell’accessibilità globalizzata. People “live in the same world, but they think and feel in different ones”. In his book Public Opinion (1922), Walter Lippmann uses these words to develop the notion of pseudo-environment. The latter is crucial if we have to understand in what contexts, with what forces and by what coordinates a process of continuous cognitive simplification – a so-called “non-truth” – is publicly created in a relevant and influential form, and subsequently becomes truth. According to Walter Lippmann, the “real environment is altogether too big, too complex, and too fleeting for direct acquaintance between people and their environment”, and the pseudo-environment is an evolutionary trick, organized to withstand the pressure of increasing complexity. Lippmann’s work was published in an era of “analogical pseudo-environments”. Over ninety years have passed since then. We now live in the digital age and in a world of “digital pseudo-environments”. One might question, therefore, whether the American scholar’s view remains valid. What, in specific terms, are the global implications of the proliferation of environmental niches in relation to new media? My answer to this question is affirmative: Lippmann’s thesis is still valid, but it should be reversed. The digital pseudo-environment is not a shelter to the increasing complexity of the world. It is a complex, algorithmically mediated cage, which seeks to reduce complexity to banality. Engaging in human relations is no longer a process of evolution, but rather a process of involution. 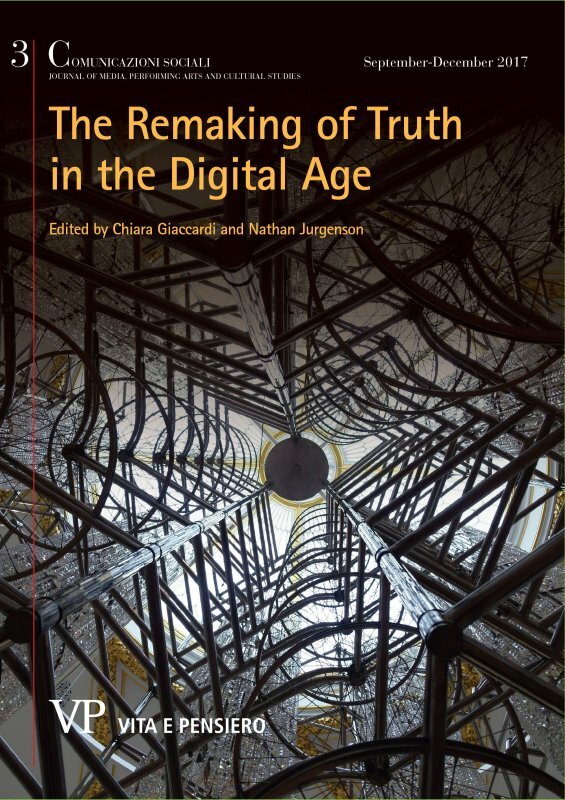 This paper address the remaking of truth in the digital age. This remaking is problematic because the function of truth seems to have shifted from that of a common ground for the competition over the control of society to merely a stake in the same competition. I express this state of affairs in terms of a double crisis, political and epistemic, that ultimately supports ideas and practices with oppressive implications. My main point here is that the problematization of truth in relation to alternative forms of power/knowledge is crucial when dealing with this crisis and its oppressive potential. The conceptual coordinates of my argumentation are Habermas’ notion of ‘knowledge constitutive interest’ and Foucault’s analysis of ‘parrhesia’. The recent debate on post-truth and fake news is proving to be unproductive as well as misleading; one of its effects has doubtless been a sort of distraction from the many truths that inhabit the system of media, and the digital media more specifically. The aim of the article is to highlight at least some of these truths, especially as far as the relationship between subjects and digital devices is concerned. The topic and the concept of ‘post-truth’ has emerged very evidently in the last year, following several political events in Western countries. The topic has also been made relevant by the uses, or rather the abuses, of the Internet, where uncontrolled, fake news circulate in today’s world at top speed. What we are facing now is the result of processes that have developed during the last decades in philosophy, sociology, communication studies, and journalism studies. We can indicate four processes, working at different but intertwined levels, that have contributed to undermining the possibility of any reference to ‘truth’ or ‘reality’, or any possible relationship between them. The four processes on which this paper will focus are: 1) the post-modern approach that took hold in many areas of philosophy during the second half of the twentieth century; 2) sociological perspectives that led to constructivist approaches; 3) communication theories that fostered social construction of reality by the media; and 4) the new ways to consider journalists’ work as a construction of reality rather than a representation of reality. The emergence of these processes, which tend to weaken any reference to a concept of reality external to the media and its mechanisms in the production and circulation of meaning, has triggered some unexpected backlash such as vague notions of meaning, uncontrolled influencers, communicative bubbles, and a return to a positivist view of social reality. The contemporary hybrid media system has certainly enriched as well as entangled the forms of political participation. 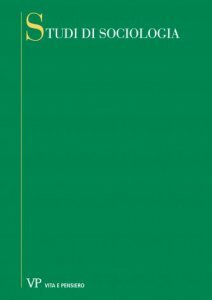 Among the wide array of participatory practices, this essay considers specifically those aimed at creating, gathering, spreading and verifying information. It discusses new participatory practices in the process of newsmaking. In the more inclusive contemporary cycles of political information, multiple new media actors, emerging elites and non-elites, can produce news and news outlets which can become “spreadable” in the older and newer media, creating hype around an issue and often influencing journalists’ agendas. Moreover, newer media actors can participate in the circulation of news by endorsing and contesting news items produced by professional and amateur, top-down and bottom-up, mainstream and alternative news media. This article discusses, summarizes and lists those participatory practices; it then analyses them closely in terms of journalism epistemology. Although issues related to epistemology are overwhelmingly important in journalism, particularly in the contemporary hybrid media system, they have been largely neglected in journalism studies. Epistemology in journalism is to be understood as the criterion of validity that enables journalists to distinguish the false from the true, the probable from the actual. The legitimacy of journalism is intimately bound up with claims of knowledge and truth. Hanitzsch (2007) identifies two dimensions of journalism epistemology: the objectivism/subjectivism and the empiricism/analytical approaches. 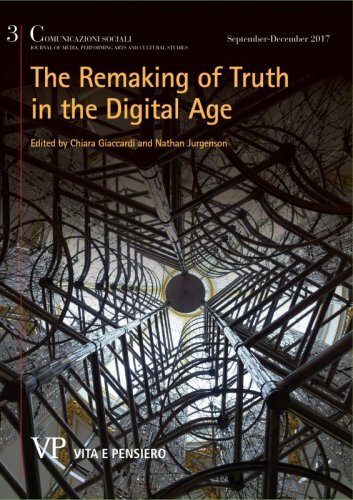 This essay explores theoretically whether and how new forms of creating, gathering, spreading and verifying information by non-elite media actors and newer media elites can modify journalists’ epistemology. The journalists’ attitude to reality is producing contradictory results: it includes new elites in the newsmaking process as well as favoring the diffusion of misinformation. “Post-truth”, the 2016 word of the year, has been defined by the Oxford English Dictionary as “relating to or denoting circumstances in which objective facts are less influential in shaping public opinion than appeals to emotion and personal belief”. In fact, the notion risks becoming little more than a buzzword, given that the epistemic, social, political, and cultural issues at stake behind the current debate on Post-Truth are so numerous, so differentiated and intertwined. Scholars are thus required to undertake interpretative efforts in several research directions, in order to understand both its scope and actual novelty. The paper interrogates one of the main topics debated under the label of post-truth: the circulation of fake news, that is news stating false facts or events within a “veridictive” – and not satirical or parodistic – register. By addressing the traditional and long-lasting debate on the supposed disintermediation of traditional media agencies in the internet era, the analysis here developed tries to identify and explain the emergence of new dynamics of intermediation, detectable at the institutional, technological and social levels. The paper focuses on the new and as yet undetermined role played by the institutional subjects of intermediation, such as platforms owners and service providers; at the same time, it addresses the ways in which the space of news circulation is currently shaped by the automatisms of algorithms. In our conclusive remarks we clarify how these two perspectives should be integrated with a specific focus on the understudied forms of social consumption of fake news on the internet and through social media. Since 2013, when the World Economic Forum mentioned in its annual report the “global risk of massive digital misinformation”, situating it at the centre of a constellation of technological and geopolitical risks, the issues of truth in digital communication and fake news have become a key area of academic research and public discourses. Misinformation is often described as the widespread diffusion of intentionally false information or of satirical contents. Nevertheless, misinformation has been described also as the diffusion of “unsubstantiated rumors, whether intentional or unintentional” that circulate online, contributing to a sort of collective credulity. The article will focus on the latter typology of misinformation based on the diffusion of unsubstantiated rumors resulting in a “shared and believable truth”. In particular, the article will describe how the peculiarity of diffusion flows in social media, the homophily of social networks and some social media logics affect both the spread and the likelihood of misinformation. Special focus will be placed on the question of trust in social media and the evolution from a systemic trust in newsrooms to a predominance of the so-called affective trust given not only to charismatic figures (horizontal or vertical opinion leaders), but to ordinary people or friends and friends of friends.The paper will also take into account the role of some crucial characteristics of 2,0 communication: the programmability of contents and popularity logic. The description will be based on the review of existing literature on trust and credibility and on information diffusion models in contemporary social media applied to a case history from November 2016 in Austin, Texas, which also became a news story for The New York Times. The case history will be used to exemplify some of the processes described. The final goal of the paper is to describe how the truth in social media, eventually, is the result of the interaction of specific models of information circulation and the evolution of the attribution of trust. When considered in the context of affect theory, post-truth is quite plausible. Affects come from deep inside of us, convincing us of their prominence over everything else, including rational thought. The embodied quality of affects leads to their misconception as fact. Because affects are felt so powerfully, they are often believed over anything that may indicate something contradictory. The post-truth world is an affective imaginary where people who do not believe consensual facts and truths as they are presented are offered established alternatives. Through the lens of affect these alternative facts are better understood as affective facts. Affective facts are perceived and trusted as facts. The major achievement of rightwing populist movements is their creation of a fully operational logical apparatus that functions through affect, so that any information it comes across is filtered through and recoded according to affective facts and truths. That they are based in lies is irrelevant. In this context there is no possibility of the fabled “speaking truth to power”. Old forms of resistance are outmaneuvered by an emergent politics of competing affects. The new master narratives are intensity and confusion, where affect gives semblance to a new ontology of governance. Michel Foucault discussed this as the notion of veridiction, where truth is constructed for populations in order to align them with state rationality. We are witnessing the far-right in the U.S. attempt an extreme experiment in veridiction. Through a case study of the 2016 election campaign and first 100 hundred days of Trump’s presidency, we aim to explore attempts by the far right in the U.S. to harness affect and cultivate a new regime of truth, an alternate reality for supporters. From traditional to digital media, the growth of false information, hoaxes or rumors has recently crystalized in the formulas “fake news” or “alternative facts”, which indicate a certain weakening of critical thinking. These formulas reveal that the public sphere experiences complex epistemological processes, an even more complex relationship to truth and a profound modification of alethurgies. This paper will analyze the “life” of false information in a changing media environment, first by defining what the terms “fake news” and “alternative facts” mean, before subsequently analyzing a recent case study involving different levels of false information and forgeries during the French election, the macronleaks. We will observe the ambiguous role of social networks and the strategies deployed by some actors to decipher false information. Therefore, our aim is to offer a semio-political analysis of “fake news” and “alternative facts” that will help us understand why we are so eager to believe in them, and what to do about them. Since the 1960s, art has often addressed the ambiguous way the media interpret reality. However, artists have adopted different strategies, also determined by the technological changes in communication. During the 1960s and 1970s, artists linked with Visual Poetry declared a “semiotic war” against the language of mass communication, that aimed to “reveal” its forms of mystification. In the post-media era, art’s relationship with society has changed: the very notion of public art (or social art) has evolved from that of a practice taking place in an actual space to a practice diffused through the simultaneous space of the media, where it can be experienced by many private viewers. Such new way of defining the public sphere, in the context Byung-Chul Han called “society of transparency”, is very similar to the way people today interact with ‘news’. The very distinction of “true” and “plausible” has therefore changed. “Truth” is not in the content of an image, but rather in its power, since images, as Hito Steyerl puts it, are “poor” in themselves, conveyed as they are through large-scale digital mediums. The forms of art which adopt these same mediums and their diffused strategies of communication provide us with interesting insights on our current political, economic, and social circumstances. Moving from the debate originated by the Documenta 10exhibit, aptly titled Politics Poetics, this essay analyzes the main theoretical contributions and artistic responses (General Idea, Francesco Vezzoli, and many young new media artists) on this subject, showing how art addresses the notion of “truth” in the public sphere, as well as language and media images used in political communication. Cattolica news: Son tutte chiacchiere?